UCINA Confindustria Nautica was the privileged partner of the eighth edition of YARE, Yachting Aftersales and Refit Experience, the international event dedicated to the yachting industry held in Viareggio until April 21st. More than 110 captains and 90 Italian and foreign companies operating in the sector have attended the event. 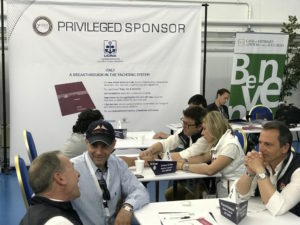 Like in previous international events such as METSTRADE in Amsterdam, BOOT Düsseldorf, and Dubai International Boat Show, UCINA seized the opportunity to promote its “Nautica, destinazione Italia”, a series of actions proposed and obtained by the association to enhance and develop the role of Italy as a leader in the nautical industry in the Mediterranean area. To all invited captains and companies attending the event, UCINA offered its publication “Italy, Tax & Yachting”, edited by the Association in collaboration with the Agenzia delle Entrate. The publication collects all novelties and legal provisions in the fiscal and customs’ domain, including duties for both the commercial and leisure boating industry in Italian territorial waters. Italy, Tax & Yachting has been internationally published thanks to the support of Italian Yacht Masters, the Italian association gathering captains and superyacht officers, UCINA’s partner and ambassador of the excellence and competence of the Italian Navy abroad. Thanks to all actions strongly longed by UCINA, Italy is becoming a very competitive candidate for the leadership of the yachting industry in the Mediterranean area.